If you are a poor sleeper then you are not alone. A recent study concluded that up to 25% of Americans suffer from insomnia at any one time. The good news is that for most, the suffering is temporary. 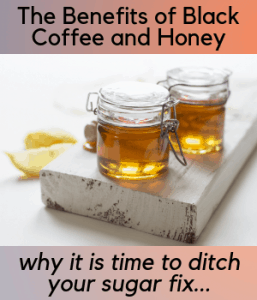 then read on as I look at some of the most frequently asked questions about coffee and sleep. Why Does Caffeine Affect Sleep? Caffeine is a stimulant, a drug that makes you alert and energetic. It blocks the chemicals in your body that make you feel sleepy. So, even when you’re tired, your body doesn’t know it. Stimulants, like caffeine, make the wiring in your brain go crazy. You feel a buzz. Caffeine flicks a bunch of mental switches and forces your mind awake. It energises your muscles, not only in your arms and legs, but in your gut. It changes your body’s chemistry, shifts its balance and adjusts the way it works. Next time you sit down with a triple-shot latte, pay attention to its effect on your body and mind. Caffeine stops your mind and body wanting to go to sleep. Being alert and energized at night doesn’t help. It even delays your sleep cycle, shifting it back. It messes with your body clock, meaning you want to go to sleep later and wake up later. Together, this can make it hard to get a good night’s sleep. On top of all that, Caffeine can disrupt the amount of deep sleep you get throughout the night. Even after a long night’s sleep, many coffee drinkers wake up feeling groggy or unrested. So, not only do you sleep less, but the quality of your sleep is worse. How Much Caffeine Causes Insomnia? The more caffeine you have, the more likely it is to cause insomnia. Caffeine stays in the body for a long time. It takes about 6 hours for your body to get rid of half the caffeine. The average Joe or Jane drinks about three cups a day. Even this amount can disrupt sleep. Those who drink six or more cups a day have it worse. If you love your coffee, you’re likely to struggle with insomnia. To make matters worse, caffeine makes you want to pee. And waking up in the middle of the night to rush to the bathroom is terrible for sleep. Can Drinking Coffee in the Morning Affect Your Sleep? Even your breakfast coffee can disrupt your sleep. The effects can last 16 hours or more. You might not believe it, but coffee drunk at any time of day can cause insomnia. You might be someone who can’t get through the day without a big coffee or a pot of tea. It’s no secret that many workers, students and parents rely on caffeine to keep them going. If you are one of those people, it’s best to drink it in the morning as early as possible. But, even that can affect your sleep. How Long Does Caffeine Keep You Awake For? Caffeine is a drug. When you drink it, it takes just a quarter of hour to start working. In an hour, it reaches its peak – that wakeful buzz. The caffeine has powerful effects for the next six hours or so and can last all day. The more you drink, the more caffeine builds up in your system. The more coffee you drink, the weaker its effects are. If you drink lots, you could get addicted. The withdrawal symptoms will keep you awake even longer. Bottom line, it keeps you awake for a good part of the day. The more you drink, the longer you’ll have trouble sleeping. How Do You Sleep After Caffeine? Insomnia is one of the main side effects of drinking too much caffeine. Many people drink coffee or tea to recover from a bad night’s sleep. But this feeds the insomnia, making it worse the next day. If you drink a few cups of coffee, you’ll still have some in your system at night. So, how do you sleep if you’ve had too much? Caffeine doesn’t stop you sleeping, it makes it easier to stay awake. Try relaxing or meditating in a dark room. Focus on your breath. Relax your muscles. If it’s early enough in the day, try some exercise to make your body and mind tired. Does Decaffeinated Coffee Keep You Awake? Decaf has a tiny, weeny bit of caffeine in it (5 milligrams per cup, rather than the 100 in standard coffee). That tiny amount shouldn’t have a serious effect on your body. It shouldn’t prevent sleep. Be careful drinking coffee at a café or restaurant. Many establishments accidentally serve caffeinated instead of decaf. For people sensitive to caffeine, decaf might still have an effect. It may be worse if you’ve drunk a full-caffeine cup earlier in the day, the decaf might act like a top up. If you replace your normal coffee with decaf, then you’ll sleep better. Can Caffeine Withdrawal Cause Insomnia? Just like quitting smoking, quitting caffeine has many side effects. When you have caffeine, it slows your blood flow. When you stop drinking caffeine, it increases blood to the brain. It causes headaches as the brain adapts. Drinking caffeine can cause anxiety or make it worse. But, even cutting it out can have the same effect as you go through withdrawal. The anxiety can keep you awake worrying. So, be prepared to go through a tough few days after stopping caffeine. What Are The Main Sources of Insomnia? Lots of things can cause insomnia. Many of the main causes are mental health problems. Things like stress, anxiety, depression and PTSD. If you take regular medication, especially if it’s strong, you’re likely to get problems. Many medical conditions also have similar effects, including many sleep disorders. If you have an irregular sleep routine or eat too much last thing at night, this can make your sleep worse. But, the most common things to affect sleep are nicotine, alcohol and caffeine. It has the exact opposite effect. Caffeine is contained in coffee, tea, soft drinks and energy drinks. All these are designed to keep you awake. What is the Best Caffeine Insomnia Cure? In the long term, the easiest way to get over caffeine insomnia is to stop drinking it. After the withdrawal symptoms, your sleep will improve. In the short term, do lots of physical exercise. The more tired your body is, the easier it will be to get over the energizing effects of caffeine. Get into a regular sleeping routine. Make sure you only drink coffee in the morning. You can try meditation or relaxation techniques. But, the real cure is cutting it out completely.